Oceania Resort Collection now on sale. 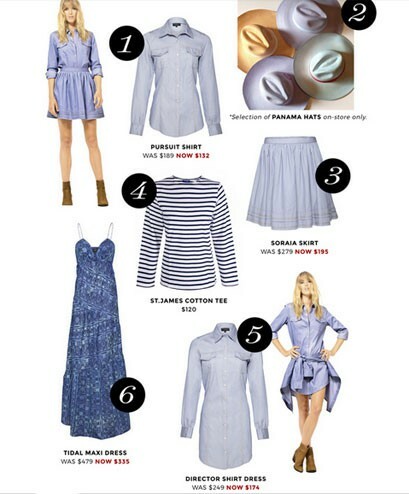 The summer essentials you need right now from soft supple denim chambray, to wispy silk cotton printed silhouettes, expressed with a flirty casual insouciance. Visit and shop at littlejoeny.com. Little Joe Woman by Gail Elliott Resort Collection now available at Myer. Free Shipping in Australia wide for all orders over $150 and all International orders over $300.